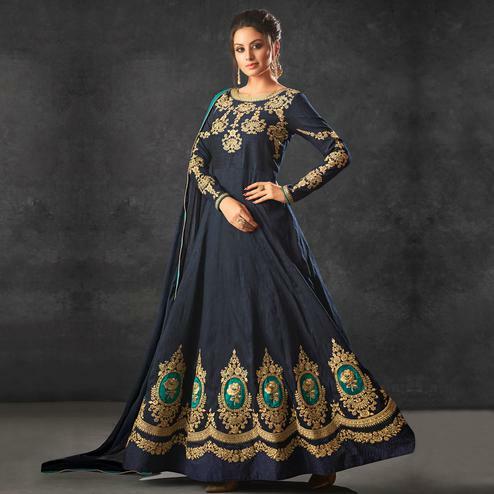 Look amazing with attachment of navy blue designer anarkali suit. 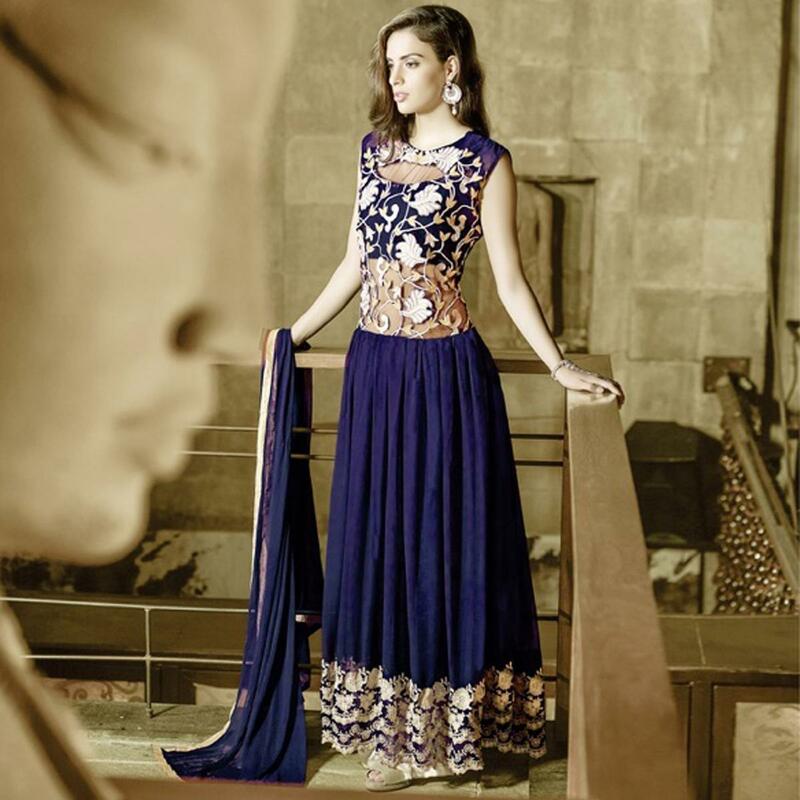 This brilliant attire creates smoldering effect with its amazing heavy embroidered work on its neckline & hem. This is an ideal pick to upgrade your wardrobe for special occasions. This Designer suit is accompanied with santoon bottom & nazneen dupatta.